Cetaphil is marketed as a solid, friend-for-all moisturizer that locks in hydration to keep your skin glowing while protecting it from the sun’s harmful rays. 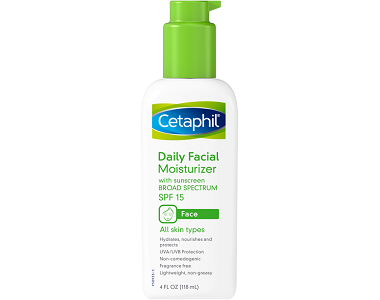 Cetaphil says Daily Facial Moisturizer is gentle, won’t clog your pores and won’t irritate your skin. We now embark on the review of this product which does not make exaggerated claims but positions itself more like a general but effective moisturizer. What’s In Cetaphil Daily Facial Moisturizer? The first two ingredients are the active ingredients. Avobenzone is a chemical commonly found in sunscreen and used to block the full spectrum of UV rays. By contrast, Octocrylene 10% blocks UV rays in particular and is safe when contained in up to a 10% strength. Vitamin E is so important in a moisturizer that if it is absent, based on research, this seriously undoes a product’s credibility. For maximum efficiency and potency though, it is best included as part of a package that involves Vitamin C as well. Together, these two critical vitamins boost collagen, keeping the skin firm and supple, and deliver powerful antioxidant properties to the cells. Glycerin is used for moisture as is glycerin stearate. The formula also includes non-irritating forms of alcohol which are fatty in nature – they would mimic the action of omega 3 in a certain sense, plumping the skin. The main irritant to sensitive skin, although it is often ironically included in sensitive skin products because many sufferers also have acne, is Vitamin A or Retinol. Thankfully, that has been omitted from the formula. But, there are also other omissions undermining the product’s ability to provide a strong nutrient matrix to the cells. Shea Butter and Sweet Almond Oil along with wheat extracts are but a few clinically proven, research-vetted ingredients that compromise the efficacy of Daily Facial Moisturizer by virtue of having been excluded. 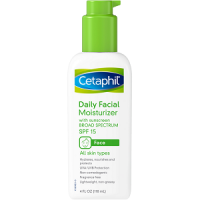 How Do You Use Cetaphil Daily Facial Moisturizer? The liquid comes in a squeeze bottle with a pump top. Apply a thin layer at least 2 hours before sun exposure, and then reapply every two hours at a minimum. Use a water-resistant sunscreen if you go into the water. The product comes in a 4-ounce squeeze container. You cannot buy it from the product website and have to do so via Amazon, where it costs $12.22, and various outlets, such as pharmacies. A pack of 4 is shown as costing $55.96. We could not find any information relating to a guarantee despite conducting very specific research. It seems that no clear returns, exchange or guarantee policy is in place. It is never optimal for a consumer to be in a position where something is bought or ordered, and you have no recourse to getting your money back should something go wrong with the order, or the product does not work as you expected. The product is not that convenient to use, as you have to reapply or top it up continuously. However, this same moisturizer does come with different strengths of sunscreen factors built in, so you may as well use a higher-SPF version. It is popular on Amazon where it gets good, but not great reviews, with some users reporting an oily residue. We were surprised to see feedback mentioning the oily film, but it does make sense considering there are many fillers and thickeners in the formula, which are not offset by fast-absorbing essential plant oils. The moisturizer should be able to pass the sensitivity test though. One of the big plus points is the inclusion of sun-blockers so that unlike with many other moisturizers, you do not have to apply sunscreen. On the downside, the formula is too generic to be a serious contender for reversing wrinkles, facilitating cell repair or deeply nourishing your skin. Not only does it lack almost all of the most widely proven clinical ingredients required to provide enhanced protection and benefits, it also contains not a single patented ingredient. Patented ingredients are the best form of a specific ingredients you can get, and contain a revolutionary element, assuring you of advanced working and superior results. The top-performing products as independently verified in clinical trials all have one thing in common: they contain a minimum of five patented ingredients. 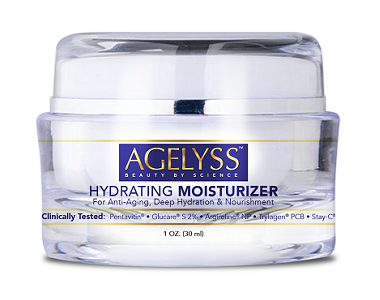 To sum up, we think this moisturizer is a basic and generic cream that, while far from stellar, help protect you from harmful UV rays which could cause wrinkles and sun damage. It is probably handy to have for those in-between days when you’ve run out of your go-to product but you’ll need something far more hardworking should you have anything other than a perfect, youthful-looking visage.